Jessica Stone is a San Francisco Bay Area singer-songwriter, and also an early executive at Pandora, the popular internet radio company. Upon departing Pandora in 2012 after eight years, Stone went right to work on her third album, entitled “Songs For Wyatt.” This 2013 release is Jessica’s first foray into children’s music, and a welcome contribution to the genre. Working with producer/guitarist David Dans, she delivers traditional songs in fresh, modern arrangements with her signature clear, warm vocals. 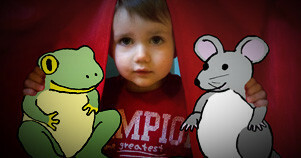 Her toddler son, Wyatt, was her muse for this project and he appears on the record in the delightful ABC song. In 2009, Stone delivered her sophomore album, Melting, a collection of nine original songs and two Willie Nelson covers. Produced by Jon Evans of San Pablo Recorders in Berkeley CA, Melting is a sophisticated blend of pop, jazz and folk, with heavily acoustic arrangements that were recorded and mixed in an intimate style. The record was mastered by George Horn at Fantasy Studios. Jessica released her first record, Seven Letters, in 2002, which garnered indie acclaim. She was selected as one of Femmusic’s Top Five Independent Solo Artists, and she she received Independent Songwriter Magazine’s ‘Best Independent Songwriter on the Internet’ and ‘Best Website’ awards. Jessica’s song ‘Got To Be Me’ spent over 10 days at #1 on the MP3.com AAA chart in the US, and was a finalist theme song for Sports Illustrated Women’s Magazine’s. The title track ‘Seven Letters’ made it into heavy rotation on an Oakland, CA radio station and other songs were spun on college radio and internet radio across the country. Prior to releasing Seven Letters, Jessica graduated from the LA Music Academy in Pasadena, CA and founded Maidenstone Music, her record label and publishing company. With a five-person band based in the Los Angeles area, Jessica performed at the Knitting Factory, Genghis Cohen, and The Derby in Hollywood, the Poetry Café in London, and at Marz, and The Crocodile in Tokyo among other venues. 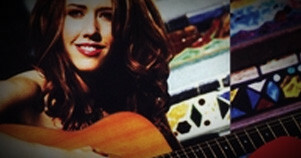 Jessica Stone’s original music is not easily classified along traditional genre lines. Raised in a folk-music tradition, she combines strong melodic hooks, harmonies, and singer-songwriter style lyrics with occasionally complex meter and sometimes jazzy chord progressions. Jessica’s songwriting style ranges from straight-ahead pop tunes to country ballads, folk tunes and jazz standards. Her vocal delivery is intimate – at times soft, warm, and suggestive, and at other times high, clear, and sweet. Jessica Stone is not a powerhouse vocalist, but her honest, pure vocals will enchant you – alternatively making you cry, dance, and lean in for another listen.